Professional Learning Communities at Work™ is a proven methodology for school improvement. The process is rigorous and requires coordination and collaboration across entire schools. It also requires educators to change behavior and collaborate in ways that they may not be used to. In working with Solution Tree’s educational experts, we found that many of their customers struggled to implement these changes. Team Tools is a set of web tools that guides PLC teams step by step through the process and allows them administrators to accurately track the progress of their PLC journey. ​Using SCRUM agile development, we established a dedicated team of development and QA engineers in our offices in Noida, India. We then worked in two week sprints - interacting with Solution Tree staff throughout - to deliver a minimum viable product in time for Solution Tree’s event season. ​We worked directly with Solution Tree’s Marketing and Sales teams to relay the product research and develop marketing materials (website, sell sheets, promotional videos, and sales training curriculum). It’s imperative that PLC teams review data from common assessments as a team. Working with customers and educational experts, we realized that a single report could become the agenda for team data meetings. 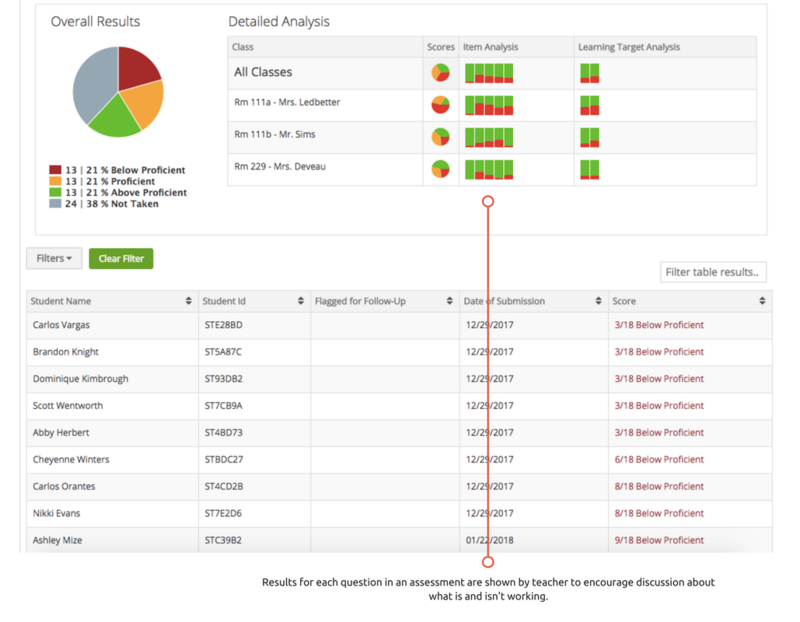 The data analysis screens in Global PD Team Tools were designed to quickly identify patterns and elicit discussion amongst collaborative teacher teams. Educators can hone in on what is and isn’t working in their teaching practice and which specific students need intervention or enrichment.